As the days get longer and the temperatures slowly creep upward, the trackday season is very nearly upon us once again. And with increasingly stringent rules surrounding riding on roads, more and more people are ditching it altogether, in favour of closed circuits. As your track riding becomes more serious, it makes sense to invest in a dedicated bike for it. However, finding a good one can be difficult - with many on the market being crashed or stolen, or both! To help you find the ideal machine for your budget, MCN spoke to Paul Fryer - Owner and Founder of Black & White Bikes, in Hagworthingham, Lincolnshire. 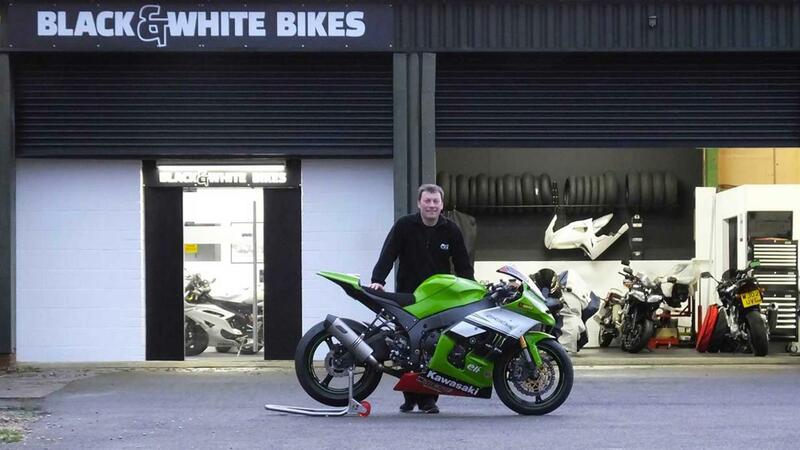 Paul sells track-ready machines in his showroom and makes bespoke bikes to order. As well as building bikes, he has also competed in various club racing championships, including the Honda Hornet Cup and the Bemsee Minitwins series. Why are track bikes so popular? 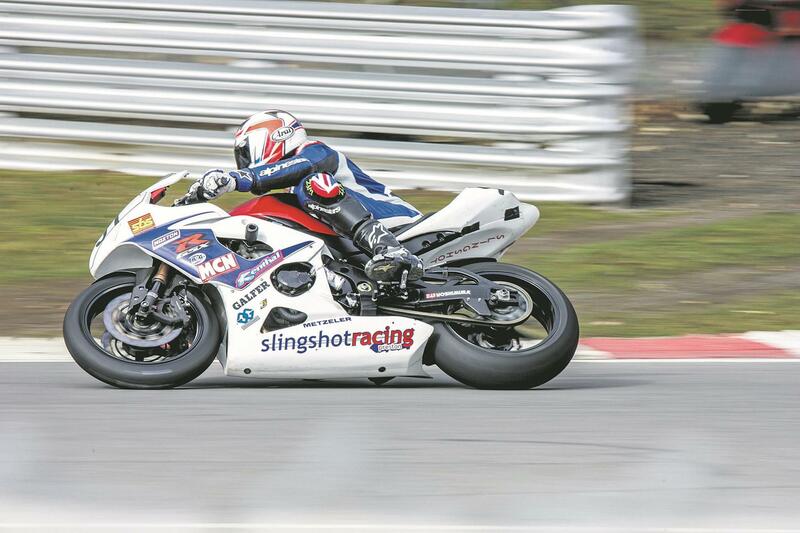 “I always thought it would bottom out a few years ago and I can’t believe that the interest keeps building year on year and we are still building and prepping track bikes. It’s an ever-growing industry and the costs are huge! “Most of the time, we see customers because they are getting fed up with riding on the road. It really is as simple as that – the fact that a modern motorcycle can’t really be explored on the road anymore without ending up in jail and that’s disappointing to owners. “There’s a massive range of people wanting to buy these bikes with different budgets. I always raced cheap motorcycles, but there are people out there with bikes worth £20,000 and they are enjoying themselves and that’s great. Who are buying these bikes? “There’s definitely quite a diverse bunch of people out there and we do have quite a few customers with big pockets and budgets that are able to go and spend a lot of money, so you do see bikes that are £15,000 to £20,000 converted to track bikes. “People need to take things seriously. When you’re buying a track bike, spend as much money as you can afford because you do get what you pay for now. There are still good and bad examples and the same rules apply as when buying any other second hand bike. “You want to be as thorough as possible and you should take a mate with you if you can. The golden rule of buying a track bike is having a V5 document. This is important because there are so many stolen bikes out there. It’s not absolutely crucial, but it’s at least a sign that it’s genuine. “We’ve bought bikes that don’t have them, but you must look out for a frame number and an engine number. If either of them have been damaged or in any way look weird, then leave it. You don’t want to end up with a bike that isn’t actually yours. “There are three types of donor vehicles that you can buy for a trackday. Firstly, you can buy an existing track or race bike that’s been fully converted already. There are subtle differences between them, so people are happy to buy both for this purpose. You get a lot of kit for your money this way because people have spent a lot of the money for you. It could all easily all be worn out by now, though! “The next route is to buy a crash damaged road bike. A lot of people do this and do the conversion themselves. This way, you get a good, cheap road bike and there might even be some bits you can sell on! It hasn’t been thrashed on the track all of its life, either. “The downside is that it’s had an accident, so you need to make sure it’s safe. You need to check the insurance assessment has been done and it’s been done correctly. I quite like this route, but you do need to know what you’re doing when dealing with the damage on them. I’m actually doing a bike of my own in this way. “The third option would be to buy a standard road bike and convert that to a track machine. Hopefully, that won’t have any damage, but unless you get a bargain, it will be the most expensive method of doing it. A lot of customers we have do take this route and it’s popular with those who have got the budget to do it. “The first thing to do really is to fit crash protection, as you want manage the financial loss from your investment in the event of a crash. Next, remove all the plastics and replace them with fibreglass panels. After that comes smaller trinkets to help make your bike stand out, such as rearsets. “You’ve got to be very careful now with aftermarket exhausts on track, due to noise testing. You need to make sure that yours will pass the noise restrictions, which vary from track to track. “I would always spend money on suspension over performance enhancements. Spend some cash on your gearing too, as standard road bikes are over-geared. “One of the top-sellers we have is the Suzuki GSX-R750. It’s a brilliant middle ground bike and you get the best of a 600 and a 1000 with none of the drawbacks! If I had a showroom full of 750s, I could sell them all day long. “You could also look at 600s and either a Yamaha YZF-R6 or Honda CBR600RR would be perfect. A 636cc Kawasaki ZX-6R from 2003 onwards offers a bit more midrange than the other supersports and they are fetching a lot of money now, but they are still very good bikes. “Another favourite of mine is the Triumph Daytona 675 from 2009 onwards. Although the R version offered more bling, I would opt for a standard bike and then upgrade the suspension to something better than the R has. “The only thing people moan about with this bike is that it is that they are a little underpowered, however the handling is so much better than any other 600cc or 1000cc machine.